my red bell pepper plants have seemed all summer as though they just weren’t going to do anything. they are in a container that in hindsight, is too small, and every time i would get an itty bitty pepper, it would end up falling off within a day or two. then all of a sudden, i noticed two peppers actually getting bigger than a pea (the point at which all the others have fallen off). as of now, they are about half-dollar sized and going strong. there are several other small ones starting. fingers crossed!!! 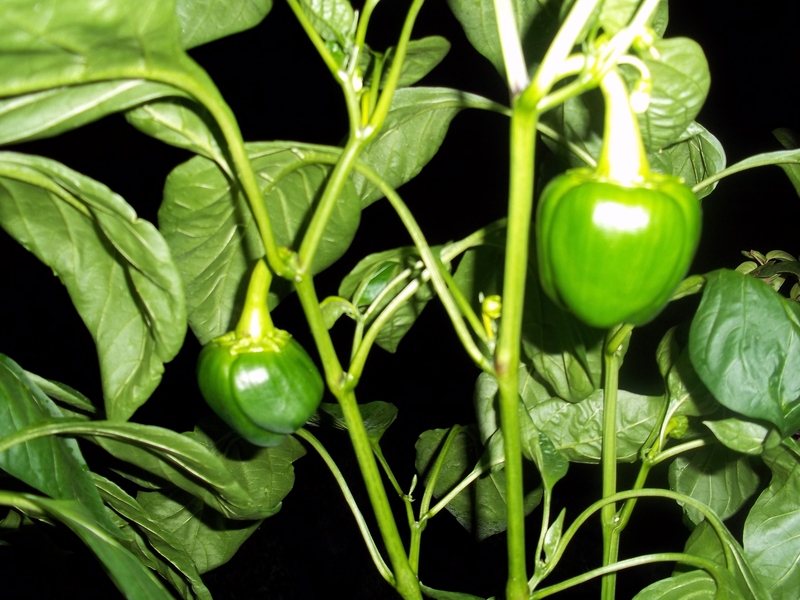 This entry was posted in Gardening and tagged gardening, red bell pepper. Bookmark the permalink.